Homeward Bound of Marin has unveiled a brand new website 100% home grown in Novato by Kiosk. Eye-catching, responsive and accessible, the new design makes it easier for visitors to find news and events, make donations and get information about the charity’s services. Homeward Bound of Marin is the main provider of shelter, work training and other services to homeless families and adults in Marin. The website is the latest venture between Kiosk and the charity – in 2015 we refreshed the website for The Key Room, Homeward Bound’s meeting and event space where guest chefs regularly host culinary talks, tastings and classes. 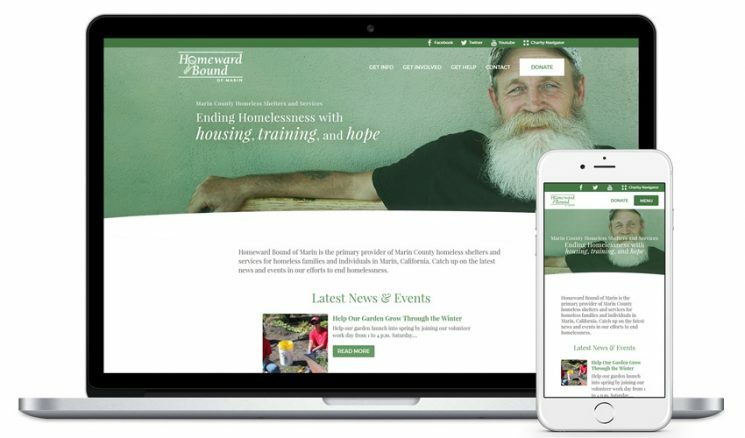 Homeward Bound tirelessly helps Marin’s most vulnerable citizens and Kiosk is proud to support the organization through donations, web development and volunteering. Does your organization’s website need a refresh? Please get in touch for a free consultation.